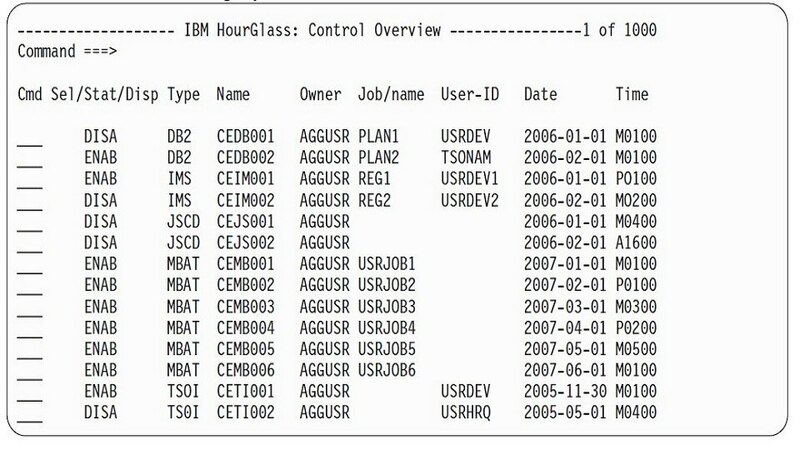 IBM® HourGlass is a clock simulator for testing mainframe applications. It enables you to simulate date and time—past, present or future—without changing application code or requiring a separate computing environment. You can coordinate functionality across time zones to strengthen the thoroughness of application testing and improve the accuracy and reliability of mission-critical applications. Simulate any date and time that can be represented by the underlying computer hardware. Thoroughly test time-sensitive applications to help avoid costly issues after deployment. Automate the date and time testing process to help deliver reliable applications without requiring changes to application code, re-IPLing the CPU or LPAR or making runtime JCL changes. Identify applications that request the system date and time and resolve potential problems before they occur.